So we have done several episodes recently about individual questions from members of the undercroft. This episode will cover several questions that I did not think I could talk about for an entire episode. So other thanks must go out to our Facebook Undercroft Group. 3) “influence/homage” versus “plagiarism/copycat” in one’s work. Does seeing similar ideas (constructs, characters, deities, cultures, etc.) paralleled in separate worlds bother you? If you get stuck, worldbuilding or you want to world build but do not think you can, go to HowToWorldbuild.com and sign up for a simple course that goes over how to build a city. 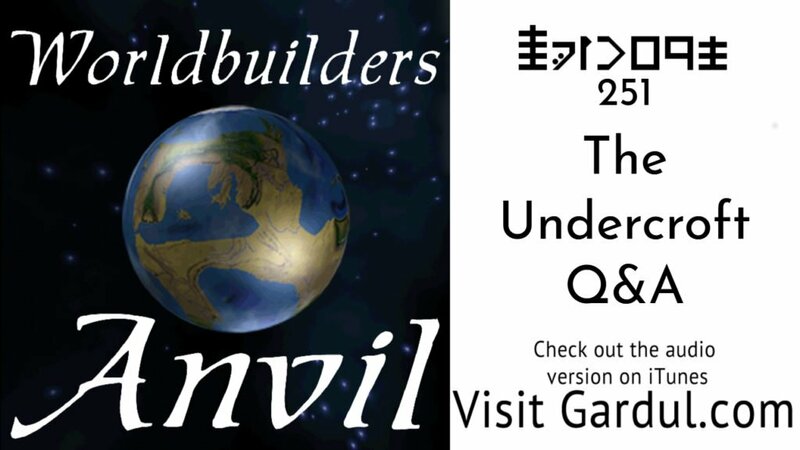 It covers all the aspects of worldbuilding without all of the difficulty or judgment.